This post is sponsored by Savings.com but all opinions are 100% mine. There are some sweet deals happening at Sam’s Club as we all get ready for the Big Game! I learned about Sam’s Club membership deal for new members, read on and don’t miss out! 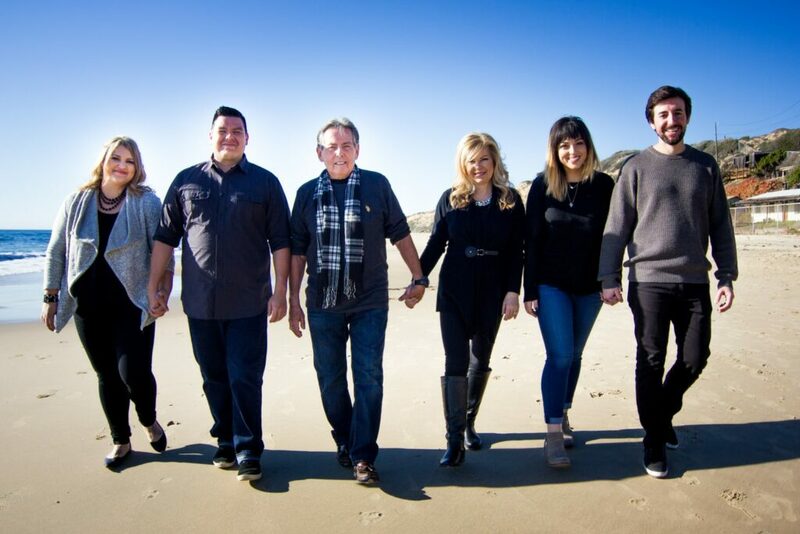 During the break between Christmas and the new year, we rented a house at the beach instead of exchanging gifts. This was our first time going away together with our new daughter-in-law and son-in-law and I hope we make it an annual tradition. We watched football games, played board games, cooked together and really enjoyed some downtime. Before we left, we did all of the grocery shopping at Sam’s Club. It was the first time my newly-married daughter has shopped at Sam’s Club and she says it’s her new favorite. She is going to take advantage of the new membership offer. Quick Link – Purchase a Sam’s Club membership for $45 and get a $20 Sam’s Club gift card now through March 31, 2018. My regular readers know that both of my children got married last year. One activity that unites us is our love of football. We often get together on Saturday or Sunday to watch games. I like to serve food that is easy to prepare so I can get out of the kitchen and enjoy our family time. 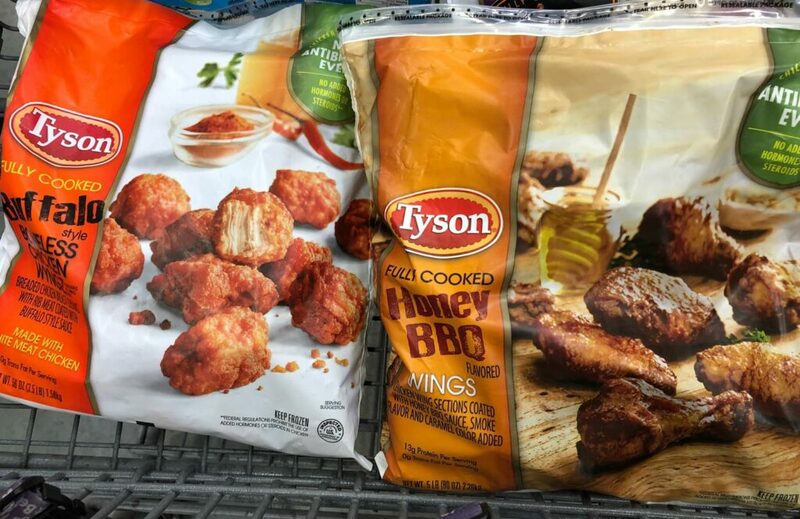 Here are our two favorites from Sam’s Club; the Buffalo Boneless Wings and the Honey BBQ Wings. I serve the Buffalo Wings with Ranch Dressing and the Honey BBQ with a side of BBQ sauce. It could not be any simpler plus they are so good! 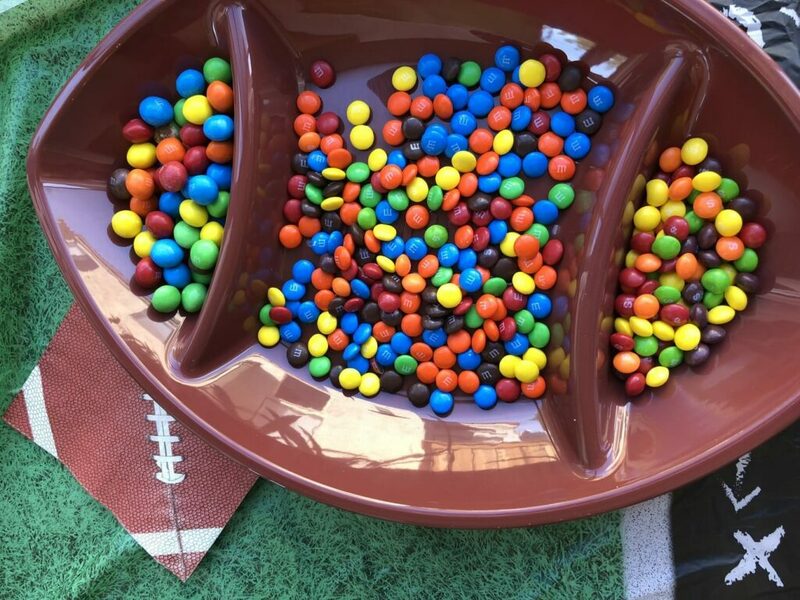 When you come over to watch football, you’ll find a few bowls of everyone’s favorite candies; Skittles and M&Ms. If the games go into overtime, I’ll have some 5 Hour Energy on hand. 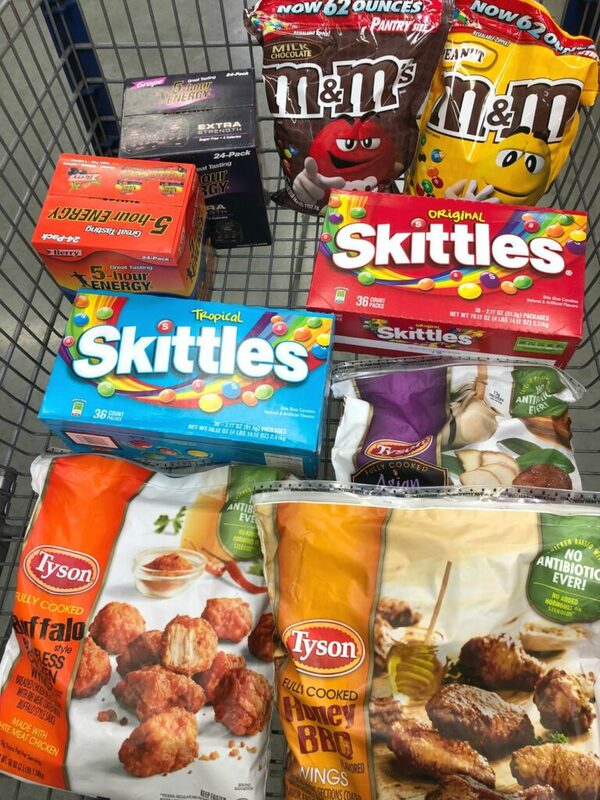 A peek inside my shopping cart as I shopped for the playoff games leading up to the Big Game! I can’t imagine how it can be any more exciting than the ones so far, don’t you agree? Don’t miss out if you are a fan too! Click here for the details so you can get a new Sam’s Club Membership for $45 with a $20 Sam’s Club gift card. 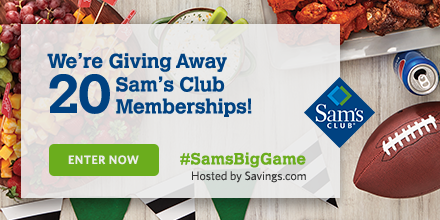 Enter to win the #SamsBigGame giveaway, hosted by Savings.com. They are giving away 20 $45 Sam’s Club membership gift cards. Go now and enter! The giveaway ends on Tuesday, January 16th at 11:59 PM ET. Good luck! The winners will be chosen through a lottery drawing and notified on Wednesday (1/17) via the email address they used to enter. See complete Official Rules for entry instructions, full prize descriptions, restrictions and other important details. Join the Twitter party using #SamsBigGame on Tuesday, January 16th at 6 PM PT/9 PM ET where they will be giving away $500 in prizes! They will be talking about how to throw a great party to watch the “Big Game,” as well as all the benefits of being a Sam’s Club member! There’ll be $500 in gift card prizes up for grabs, so be sure to RSVP to be eligible to win! 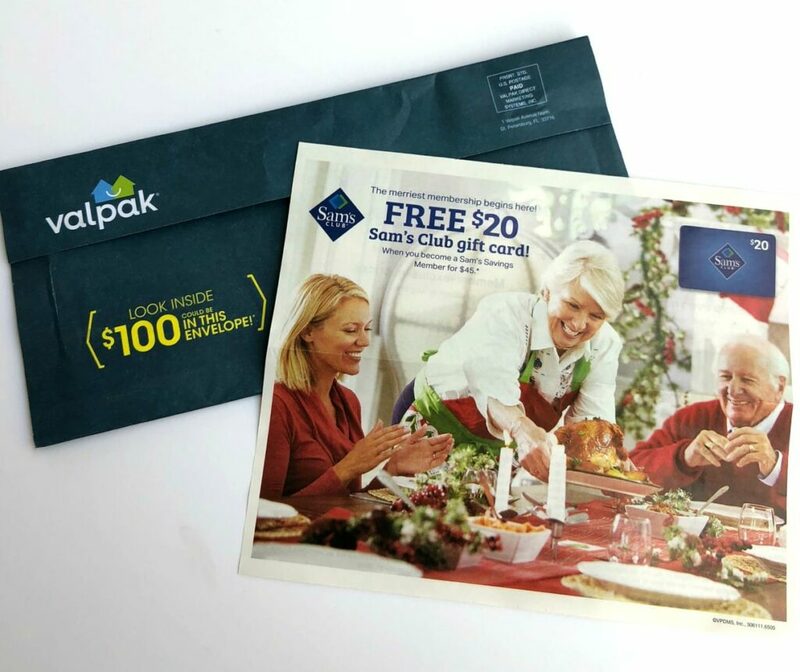 Check your Valpak envelope for additional information on Sam’s Club membership and the savings that are available to members. 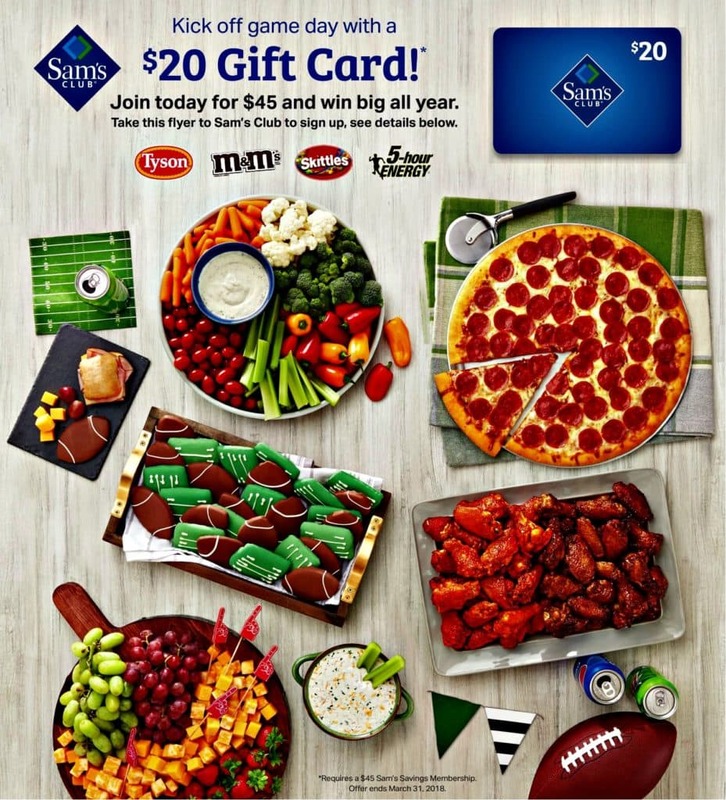 Get a $20 Sam’s Gift Card with a $45 new membership purchase. 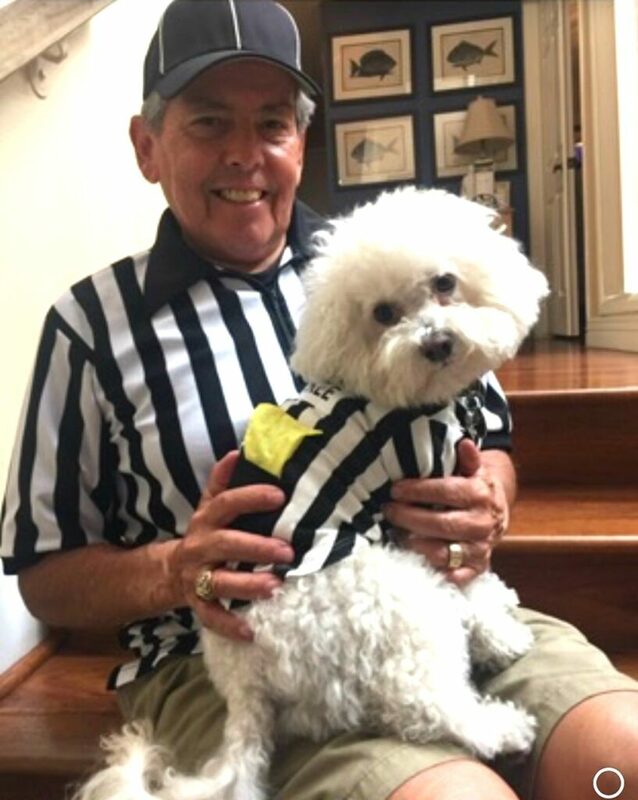 LOL– my husband is a high school football referee for fun and exercise. I could not resist this costume for our dog, Buddy. Yes, we love football! What will you be serving for the big game?